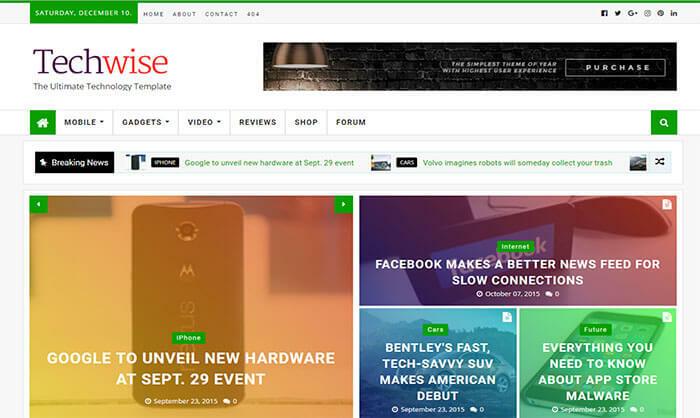 Techwise Blogger Template is a clean but stylish looking magazine layout with built in label based content featured widgets to publish your important posts. Techwise is highly customizable and has various types of layout, whether you want a clean, blog with slider or a full magazine template, you can make your very own design. You can easily build your blog about technology, games, travel destinations, films and blogger magazines etc. with an awesome matching color scheme and professional widgets you can reduce your bounce rate immediately and make your blog SEO optimized.